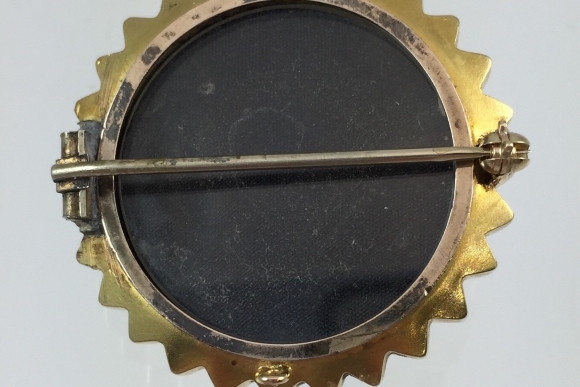 This antique 14K Victorian memory locket has the gorgeous patina of nearly 150 years. 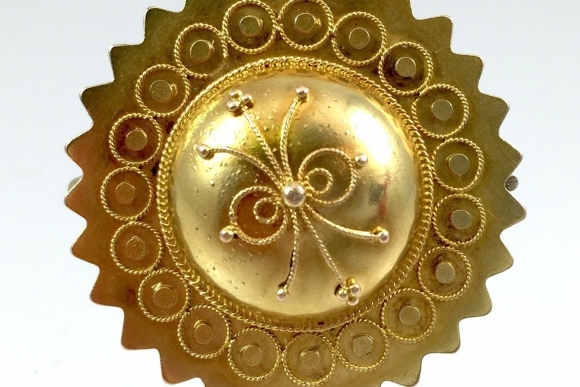 Designed in the Etruscan Revival style the brooch features a rayed sun design with scrolled wire work circles and sprays accented with granulation. The picture locket lifts out revealing a memory compartment for a lock of hair, or sweet love note from your beloved. 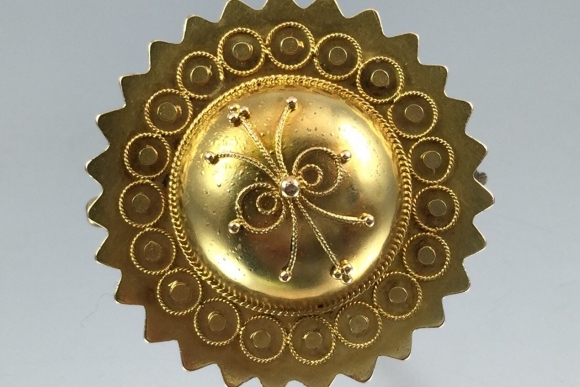 The back of the brooch has an original ring which a tassel pendant likely was attached. The brooch is unstamped, but tests as 14K solid gold. Measures 1 5/16 in diameter. Condition is good. The locket edge shows some oxidation. 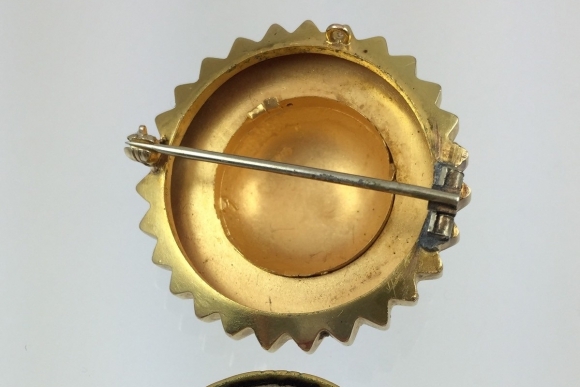 The locking rolling clasp was likely added in the early to mid 20th c. The hinged part of the pin stem shows repair with lead solder. Circa 1870s.